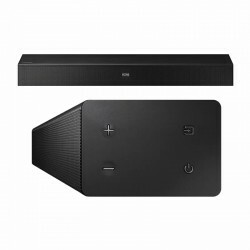 Soundbars There are 4 products. If you want an easy way to upgrade your tv's sound then why not think about soundbar rental. 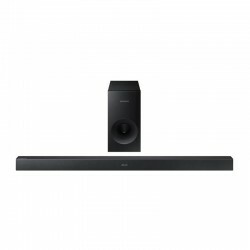 Soundbars are a great way to upgrade your sound automatically without the need for wires. Enjoy superb powerful sound that will bring your favourites programmes, movies and music to life. 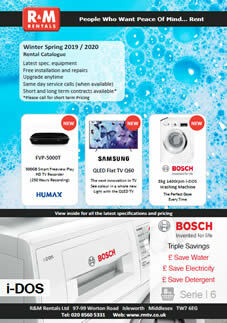 Your tv will have never sounded so good! While our soundbars will work with most tv's they are designed to work with our range of Samsung TV's so why not rent them as a package. Alternatively if you are looking for another surround sound option, take a look at our blu-ray rental section. Enjoy more detailed and powerful sound Bring your living room to life with the HW-J550 Soundbar. Its four speakers, which deliver a pure audio experience, will transform your favourite films and TV programmes. Dedicated built-in tweeters and mid-range drivers offer rich, detailed, wireless sound, all backed up by the powerful bass of the subwoofer. 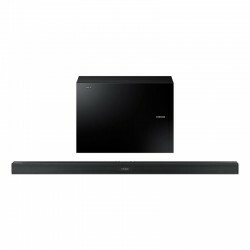 Master Crafted Sound To give TVs of all shapes and sizes a more impactful sound, Samsung developed a compact yet powerful soundbar that fits in every home.